In Toronto, a study with 206 participants found that Tai Chi Chuan improved the lower legs and foot flexibility significantly with those afflicted with rheumatoid arthritis. The researchers used three groups and one with 'traditional therapy'. The Tai Chi group improved their range of motion better than the other groups after a few months. The researchers also found that those who participated were more compliant to doing their exercise (they enjoyed their tai chi much more than lifting weights), and they continued their practice even after the study. Using tai chi as a vehicle to improve health is excellent. You can practice everyday, does not require special clothing or place. The Yang 24 Form Tai Chi was developed in 1956, by the National Physical Culture and Sports Commission in China. The Yang 24 Form is often referred to as the Beijing Form. The Yang 24 delivers excellent health benefits for the masses. Because of its official support, the Tai Chi Yang 24 is the most well known set of Tai Chi Form in the world. 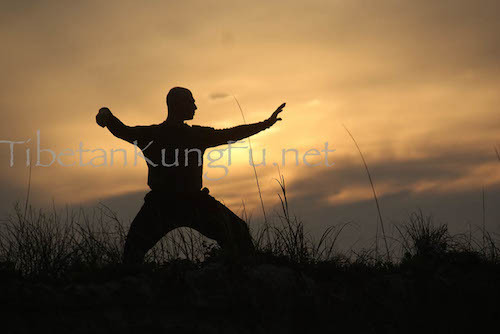 The first set of Tai Chi that I learned from Sifu Chin was the Yang 108. We were required to go through slowly, taking us 45 - 60 minutes to do one set. The Yang 24 provides a gentler, milder opportunity to learn health style Tai Chi and Chi Kung. Yes, The Yang 24 is mild enough for cardiac, arthritic, pulmonary and people with other health concerns. "I need a wheelchair or walker, which should I learn?" The Reeling Silk program is currently used in clinics with folks in wheelchairs, amputees and physically unable to stand for long or at all. You can improve memory through the Yang 24. If it is severe stages, then the Reeling Silk may be best. "I am totally inexperienced, which is better for me?" Yang 24 is excellent for beginners. Progression is slow enough for soaking. If you need a confidence booster before swimming in deeper water, take the Reeling Silk. "Which Tai Chi program should I learn?" If you no reason as listed above not too, the Yang 24 is excellent. If you are concerned and want more confidence and awareness, the Reeling Silk will provide that confidence for you.